Well, as the situation is likely to change before I finish this post, it’s not necessary for you to know that the aviation alert status has been recently reduced from red to orange. ORANGE – the volcano shows heightened or escalating unrest with increased potential of eruption. RED – Eruption is imminent or in progress – significant emission of ash into atmosphere likely. You can check current status directly at the website of Icelandic Met Office. They update the site every day at 9 a.m. UTC. You can also check their earthquake report which tightly corresponds to the volcanic eruption activity. Thanks god to the modern technology – you can also have a look at Bar?arbunga live. The site Livefromiceland.is provides you with webcam live views of several major volcanos in Iceland. Many times I caught myself staring at the webcam and expecting to see the eruption in a real-time – yeah, it’s really addictive. Unfortunately their servers are sometimes overloaded so if the webcam won’t load, you can check this youtube channel. Of course, I can’t forget to mention Twitter sources. The most reliable one is Eurocontrol but if you follow us, you won’t miss anything important too. Is it dangerous to fly around Iceland? Iceland is the area with a high seismic and volcanic activity (massive volcanic eruptions happen on average once every five years) but it doesn’t mean that it’s risky to fly over. The severity of an eruption depends on the kind of the eruption (a molten rock bubbling up under the icecap creates a more explosive eruption than one that occurs in the open fissure) as well as on particular weather conditions. You may remember that in 2011, there was also a volcano eruption in Iceland. The volcano is called Grimsvotn and the eruption was the biggest one in Iceland in a last 50 years. 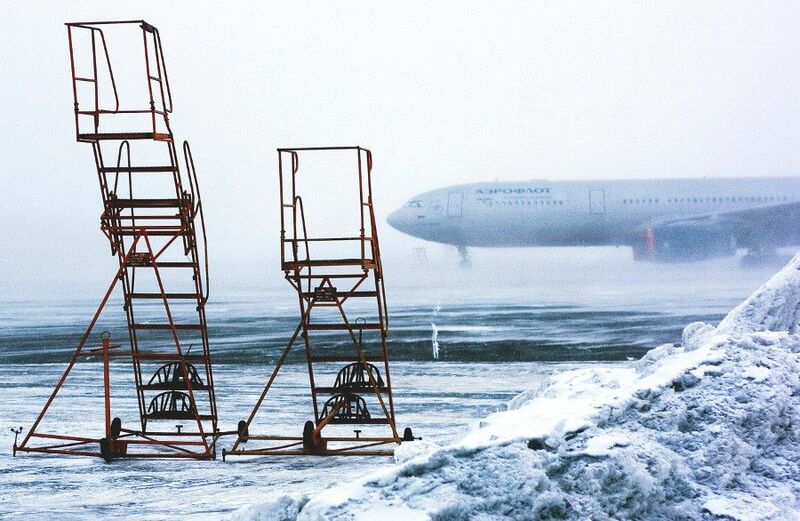 Unlike in 2010, when aircrafts were grounded across Europe due to Eyjafjallajokull, the threat of flight disruptions was lower and only affected airports in Iceland and northern Germany for a few hours. The reason was that the ash particles were bigger and heavier and so more likely to fall back to earth quickly and that winds didn’t blow from the north west (from Iceland to whole Europe). Of course, volcanic ash is a menace to airlines because the ash particles can damage jet engines. The UK’s biggest budget airline, easyJet, has been working on ash detection technology called AVOID (Airborne Volcanic Object Identifier and Detector) since the 2010 shutdown and the airline’s spokeswoman said that now is the suitable situation to put the technology into action. Watch following video from the National Geographic Air Crash Investigation series – it’s commonly known as the Jakarta Incident and will show you how the volcanic ash can affect the flight. However, you can feel safe as air traffic control service is keeping a close eye on the situation and in case of any doubts, every flight will be grounded so the worst thing that could happen to you is flight delay or cancellation. If my flight is delayed or cancelled due to volcano eruption and ash cloud, will I get compensation? If you read our post about airlines’ common practices, you know that airlines often play tricky games and use a term extraordinary circumstances as an excuse in order to get rid of the obligation to pay you the compensation. Well, we must be fair and despite the fact that they use this term more often than is healthy, this time they are true. They simply can’t do anything to avoid flight cancellation – the eruption is unpredictable, unavoidable and external event that airlines aren’t able to solve, it’s beyond their control. The volcanic eruption is considered as extraordinary circumstance and airlines aren’t obliged to pay you out financial compensation. You can read the post about extraordinary circumstances to get into it in detail. Nevertheless here is the summary – since flights from Icelend are covered by the EU legislation, you have always right to care and reimbursement of a full fare or re-routing (which is unlikely to happen in case of volcano eruption). Therefore, if your flight is grounded and you stuck at the airport far away from your home for couple of days, airlines must provide you with hotel accommodation, transfer to the hotel and refreshments – completely for free until they can anyhow get you to your destination. Now you understand why many airlines almost got bankrupt in 2010 due to Eyjafjallajokull’s eruption? What does the reimbursement cover? The reimbursement must be made within seven days (yes, you can request money) and must cover the full cost of the ticket at the price at which it was bought. If you bought a return ticket, the reimbursement must certainly cover parts of your journey that weren’t made. Moreover, if the alternate flight few days later is no longer serving any purpose in relation to your original travel plan, it must cover also the parts already made together with a return flight to the first point of your departure. Don’t misinterpret above specified rules – if you bought two separate tickets, outbound with Air France and inbound with British Airways, the inbound flight isn’t refundable (excluding a case of flight codesharing). Can I claim a payment for accommodation which I can’t reach? If the accommodation was bought as a part of holiday package, you can claim the payment back. Have you bought it separately? Tough luck, you’ll have to deal with it. The owner doesn’t care about any flight disruption, the room is ready for you. As you wish. You can insure your flight against a trip interruption or cancellation but be aware that many insurance providers have already treated the volcano situation as a foreseen event and won’t cover you against it. Try InsureMyTrip, they will certainly help you with it. Icelandic is a notoriously difficult language to pronounce for the uninitiated. You might be also wondering what that weird looking letter D there is. It was a very busy week in the aviation – besides Bardarbunga’s bubbling, there was also an volcanic eruption south of the equator, when a large cloud of ash from Papua New Guinea’s Tavurvur caused flights diversions. Furthermore, Germanwing’s pilots held a six-hours strike which resulted in long delays of hundreds of passengers.